Whether is a small, medium, or large sized business firm, no matter what the number of employees or category of business, efficient and accurate bookkeeping can make or break the organization. Bookkeeping that is done right ensures that records are always up-to-date and give accurate data that can be used to evaluate what the supply and demand for products or services are. Bookkeeping can be done in-house or it can be outsourced. 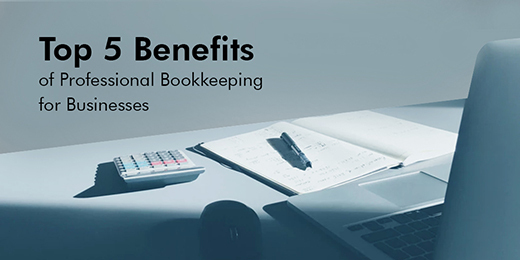 Either way, it is crucial that it is entrusted in the hands of professionals who will ensure that the objectives of the business are being met with their expertise in bookkeeping. The right bookkeeping services will not help to maintain accurate records, but will be a major factor in the growth of the company, helping it to meet and exceed business goals and objectives. You will know your income and expenditure to the last cent. No more guessing about how much income was generated and how much was spent. This will enable you to make much better decisions when it comes to creating a business strategy for the future. A professional bookkeeping service can even help recover debts from unrecorded or forgotten sources, thus giving you back money that is long deserved! When you outsource your bookkeeping, you will have lower overheads and greater cost efficiency. Think about all that money saved! A bookkeeper with specific expertise in the nature of your business will be able to provide you with expert advice and information that will come in handy when you create future plans. The advice of a niche expert can never be underestimated! When you outsource your requirements to a professional bookkeeping service, you can rest assured that you will never be late for any financial deadlines, whether it is for invoice generation or for accounts receivable reports. This means collections will come in on time and revenues will be streamlined leading to a much healthier state of finances for the organization. Vee Technologies has helped turn around the fortunes of many businesses while also helping even Fortune 500 companies maintain their reputation. You can read our client experiences here. With a team of professionals backed by the best technology and tools, you can rest assured that your financial statements and records are in the best of hands with Vee Technologies at all times!